MoviePass is offering one of its lowest-priced subscription offers yet with the hope of adding subscribers. New subscribers can temporarily get the service for a year at what works out to $US7.50 a month. Always looking for ways to beef up its subscription numbers,MoviePass announced Friday it was offering a discounted monthly offer for newbies. 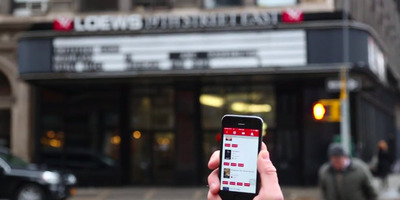 For a limited time, new subscribers to MoviePass can get a yearly plan – which lets you see one movie a day in participating theatres – for what works out to $US7.50 a month for the first year. For this yearly plan, MoviePass charges $US6.95 a month and a one-time processing fee of $US6.55. This is not the first time MoviePass has rolled out such an offer, but it isn’t something the company offers all the time. This continues the company’s quest to amass 5 million subscribers by the end of the year, a number MoviePass CEO Mitch Lowe has predicted. In February, the company announced that it had more than 2 million subscribers.